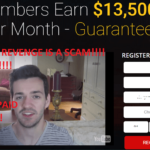 Hexa Trader Review - Scam Software Exposed By Sofy! The moment we noticed an email which was offering an invitation to access the Hexa Trader software, we quickly started on our task of screening it. It’s always been our top priority to review new binary options software quickly and judge them. In the case of Hexa Trader, there is not a speck of doubt when we say that it is a SCAM, you all should give a miss! 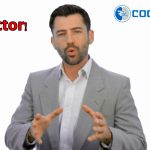 We have exposed all the malicious intentions of the scammers who try too hard to sell their software by giving false statements on its capabilities. Read the full review and find out why we so confidently call the Hexa Trader, a SCAM. The Hexa Trader – What is it? 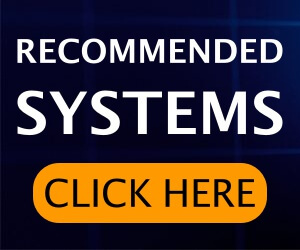 The Hexa Trader software has allegedly been developed by the best programmers and market analysts in the year 2013, and we are just starting to hear about it now! Prof. Rupert Connor, who is the supposed voice in the video, is stated to be an Ex-MIT professor of Computational Science and the CEO of Hexa Trader. 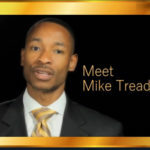 The professor explains how the Hexa Trader software is capable of generating incomes averaging $1,100 to $1,600 per day. The whole idea of the algorithm called the Hexa Algorithm revolves around the hexadecimal number system in computers. The algorithm converts binary strings into hexadecimal format which renders it the ability to analyze trades and market trends in a fraction of a second. The Hexa Trader software claims to have a winning rate of over 94.7%. This by any standards a false claim as it has never been achieved in reality and definitely not consistently. The only area we see consistency in the video is in the fluctuating figures of statistics served to us. There is just no clarity on the amount of profits a trader can make. Figures ranging from $1,100 to $1,600 are told to be the average profits achievable. The software is advertised as the perfect solution to earn over $1,46,000 per year. A professor of a world renowned institution like the MIT, Prof. Connor deserves special mention in our Hexa Trader review. The irony is, his students like the man who appears in the testimonial, Jake, were finding it hard to earn a living and a decent job. Can you imagine, an MIT student not getting a job? Who in the world would land a job if not an MIT graduate! Anyways, we did not manage to find out the details of any professor, current or ex, to have taught in the MIT let alone computational science. This is a proof that the Hexa Trader is a scam and even its creator is a fictitious character. 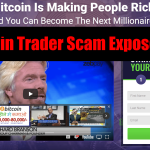 The website and the sales video of Hexa Trader scam claim to be giving away the software for Free. This is not true. You are supposed to deposit the minimum recommended sum of $250 into your trading account to be able to trade efficiently. The software can be called free if it generates profits over and above the $250, and then may deduct the sum when a sizeable amount has been accrued. To pretend as if they too have a solid interest in our trading through their software, the scammers introduce a clause of deducting 2.5% from your monthly profits. The winning rate stated to be over 94.7% is also not true. As we stated above, it is just a means to attract prospective traders. The scammers plot to get you signed up and make an investment with the brokers of their choice and credentials. Once you start trading, you’d soon realize that the software doesn’t make winning trades. Rather, it ends up losing most if the times. In no time the traders would find themselves cheated and in the frustration seek help from the fraud support team. The support ‘expert’ may encourage the trader to increase his investments citing low trading balance for the bad results. This is a vicious cycle which we never want you to get trapped in. Avoid Scams like HFT Finance & Tesler. The testimonials as suspected are also fake. The lady named Ashley who appears first, is an actor. The mother of four children seen thanking the professor from the “bottom of her heart” is just reading a script. Even the MIT pass-out Jake is an actor who can read out anything on your behalf if you are willing to pay him around $5. 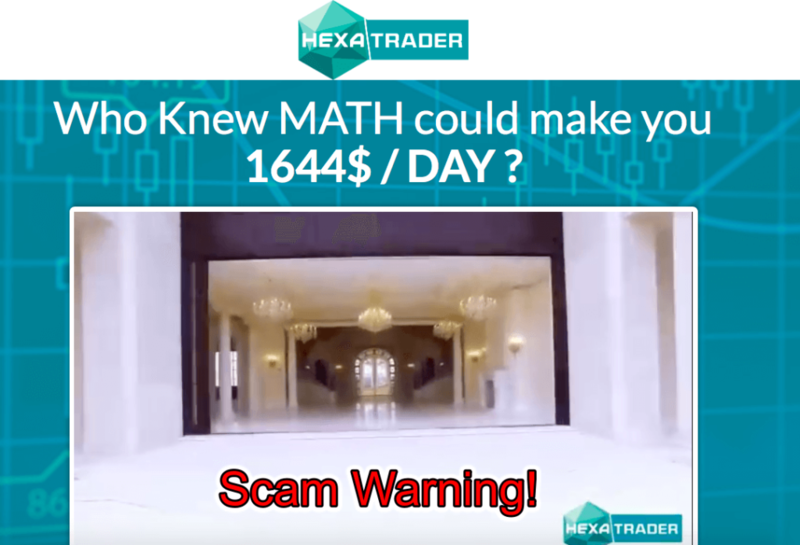 Whats noteworthy is that out of the over one thousand beta testers, the scammers could manage just three of them to appear in the video or on their Hexa Trader scam website to testify on their behalf! The scammers come up with hilarious new technologies and algorithms. The Hexa algorithm which converts binary numbers 0 and 1 into hexadecimal numbers, is surely an idiotic introduction. It is falsely stated that because of the conversion of binary to hexadecimal, the software is able to analyze and open trades in a fraction of a second. Had the hexadecimal number system been so advantageous in computation, it would have long replaced the binary number system. Moreover, the conversion would require compute resources which would again eat some time. This is something anyone with basic computer science knowledge would be able to tell that binary to hexadecimal conversion is not such a big task that would need a ‘proprietary’ algorithm. The Hexa Trader scam website has many fake stickers of VeriSign Trusted and look-alike kind of stickers to make you think it’s McAfee protected or SSL signed certificates are used on the website. These are the cheap tricks of scammers to induce a feeling of trust in the visitors. All they have there is a bunch of images which do not have any clickable links to led to. Final Verdict – Hexa Trader Is 100% Scam. Avoid It! Time and again, such scams present their rears only for us to kick them hard. The Hexa Trader software is a complete scam, and you must avoid it at all costs. We recommend you to warn your family and friends too. Never keep the information we share with you just to yourselves. Sharing knowledge, especially on scams is definitely worth the time. 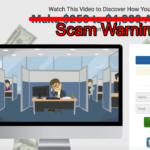 This habit could prevent many people from getting tricked into such scams. Thanks for reading! Tanaka Cargill Group – Scam Software or Legit? Find Out!! 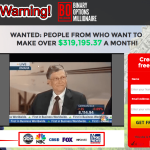 Binary Options Millionaire Is Scam! Check Sofy’s Review! What do you know about the Rubix Project? It is a scam software. I will post a scam review of this software today.